TOPEKA – The gates of Hell swung wide open today to welcome one of their own. 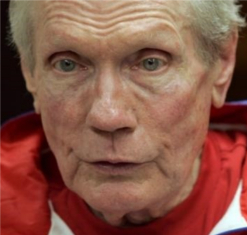 The closeted self-hating founder of the Westboro Baptist Church of Perpetual Hatred, Fred Phelps, croaked here today. Woo hoo! This was the guy who disrupted the funerals of hundreds of soldiers with signs reading “God Hates Fags” and “Thank God for Dead Soldiers.” Unfortunately, he will not be having a funeral that others may disrupt. But, surely, he will not be missed either. TRENTON – If ever there were a case that proves the old political adage, “It’s not the sin, it’s the cover up,” it is the tale of these two large individuals. Whereas CRISCO Christie is accused of causing long traffic jams on The George Washington Bridge as political payback for Fort Lee’s Mayor refusing to endorse him for reelection, Toronto Mayor Rob “CRACK-PIPE” Ford is actually accused of SMOKING CRACK while in office. And, for whatever it is worth, CRISCO simply won’t admit to his behavior; while Ford freely admits his. And, look at the difference in their prospects. 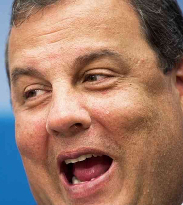 CRISCO, once the presumed Banana Republican Presidential Nominee is now reduced to defending his lie at every turn. And, in contrast, Ford is running for reelection and is widely expected to win. So, all you other “Cheap Little Fixers” out there, pay attention! You can SMOKE CRACK and get away with it if you just stay away from the lies. Too bad for CRISCO, lying just seems to come too easily for his own good.